The end of World War II saw an emergence of Holocaust dissention that began in Europe and has since developed into an international movement with adherents in almost every country in the world. At first, this denial was fueled by the desire to rehabilitate Adolf Hitler and the Nazi regime in an effort to reestablish a neo-Nazi state. In the following years, coupled with the renewal of anti-Semitism, this dissent has been used as a means of denying the legitimacy of the state of Israel. Despite these motivations, the ultimate cause for concern is in the way this denial attracts its members by both challenging the existence of the Holocaust and the testimony of its witnesses. By tracing the history, causes, and spread of Holocaust denial, Atkins reveals the dangers this mindset poses to rational thinkers who become vulnerable to fringe ideas. 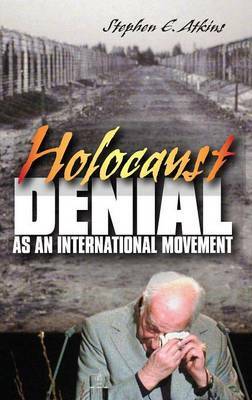 This book traces the state of the international Holocaust denial movement in the early 21st century, grounding contemporary thought in the history of the movement. Since Holocaust deniers have distorted the facts about this mass genocide, Atkins discusses just what is known about the Holocaust from historical research conducted since World War II. The role of negative racial genetics is explored in both Hitler's intellectual makeup and among the leaders of the German right wing, including historians' assessments of Hitler's anti-Semitism, motivations, and decision-making. Also provided is a roll call of Holocaust dissenters in countries such as the United States, Germany, France, Great Britain, Russia, and Italy, among many others. By analyzing the arguments of leaders within this expanding dissention movement, this book demonstrates how extremists build informational links that have wide-ranging effects.